A couple of weeks back I reached the milestone of having been in this world for half a century. It’s a notable landmark and I thought I would celebrate it by recalling the events of one of the great constants in my life throughout those 50 years; Celtic. I came along in the summer of 1966 when Jock Stein was laying the foundations that would lead Celtic to become European champions just one year later. Story goes that in May ’67 my Dad dashed home from Manchester (where he was working) and sat little me on his lap for the entire game. Well, almost the entire game, there were two occasions when I was given a close up view of the ceiling, as my Mother would recall in horror in later years. I was weaned on the Stein glory years and revelled in hearing the stories of Vojvodina, Red Star, Saint Etienne, Benfica and Leeds. In the domestic game our dominance was complete. The odd trophy, mainly the League Cup, was lost but the realisation was that we would always win the title in the end which would propel us back into that wonderful European Cup arena. The first vague memory I have is of losing to Feyenoord in the 1970 European Cup final. In later years this game would be spoken of in hushed tones like a dark family secret, never to be discussed publicly. 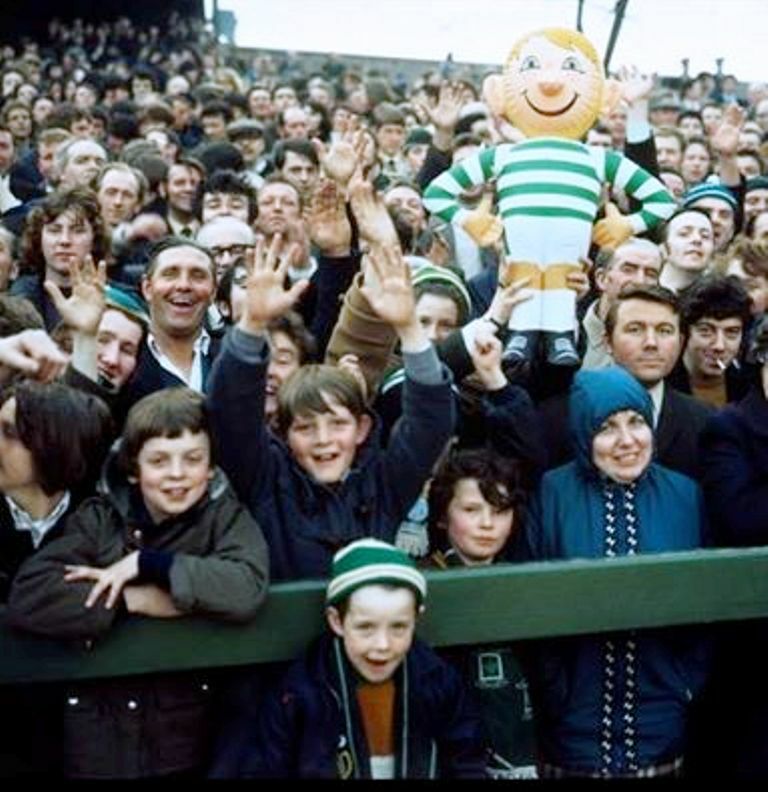 Around 1971/72 my Dad began to take me to Celtic games. It was always the case that I would be a fan due to three main reasons; my Dad was, the Celtic team of the period were well nigh invincible, and attending a Glasgow inner-city school where every child, teacher and even the janitor were all Celtic fanatics. 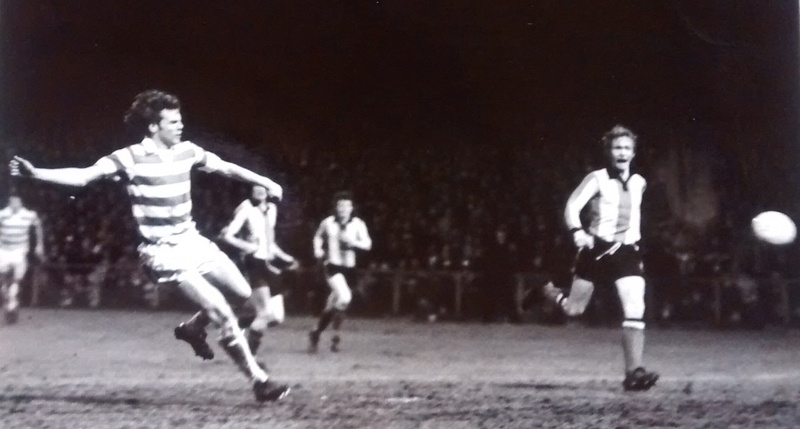 The first game I can remember vividly was against Hearts in the autumn of 1972. We were in the newly built main stand and the thing I always recall was the brightness of the floodlights shining on that huge expanse of green grass. Hearts played that day in an Ajax style strip and I’m told I was disappointed that this was not John Cruyff’s team. 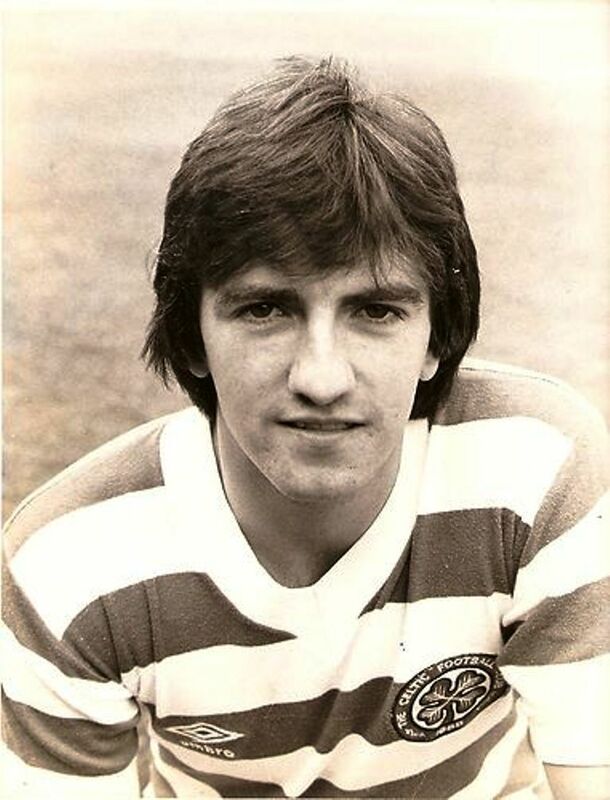 From then on I was hooked on the magic from the likes of Johnstone, Macari, Lennox, Dalglish and Hood. The trophies came thick and fast with the occasional bitter disappointment such as the two European semi final defeats to Inter in 1972 and Atletico in 1974, in hugely differing circumstances. Nine in a row came in 1974 and in March 1975 I still remember the feeling of incredulity when Rangers eventually broke the spell. Celtic were seen to be superior to Rangers in so many ways. With players like Murdoch, Johnstone, Dalglish and McGrain, Celtic played attacking football for the purists whereas Rangers were seen as one dimensional in comparison. It was our rapier thrust to their broadsword. Also, we were seen as inclusive and broad minded compared to the footballing version of Apartheid that was employed by Rangers for many years. The successes have been many. The 4-2 win over Rangers in May 1979 when Celtic succeeded against all the odds with ten men, remains the pinnacle. Just behind that was the 1998 win against St Johnstone that did not only stop their ten but more importantly it was our one. Never have I been so apprehensive about watching a Celtic game and never was the relief more tangible than when Harold Brattbakk scored the second goal that day. There have been disappointments along the way. I can recall cup final defeats to Partick Thistle, Raith Rovers and Kilmarnock. And you know what ? I don’t grudge them one bit of their glory. There have been too many happy times to enjoy to focus on so few losses. The real disappointments were of a more serious nature. At different times the passing of John Doyle, Jock Stein, Bobby Murdoch and Tommy Burns had a great effect on us all. A sharp reminder that it is only a game after all. In a football context Kenny Dalglish’s departure in 1977 left a mental scar that will never properly heal and the managerial departures of Jock Stein (1978) and Billy McNeill (1983) rightly caused consternation amongst the support. In the good old days at Parkhead my Dad would pay his Celtic pools and we would then enter the ground at the Rangers end then walk through the bottom of the Jungle at half time to see the game from the Celtic end in the second half. There was no segregation in those days but a high level of drunkenness which meant the chance of a bottle or beer can flying past your ear at any given time. In 1989 I became the treasurer of the Govan Emerald Celtic supporters club. 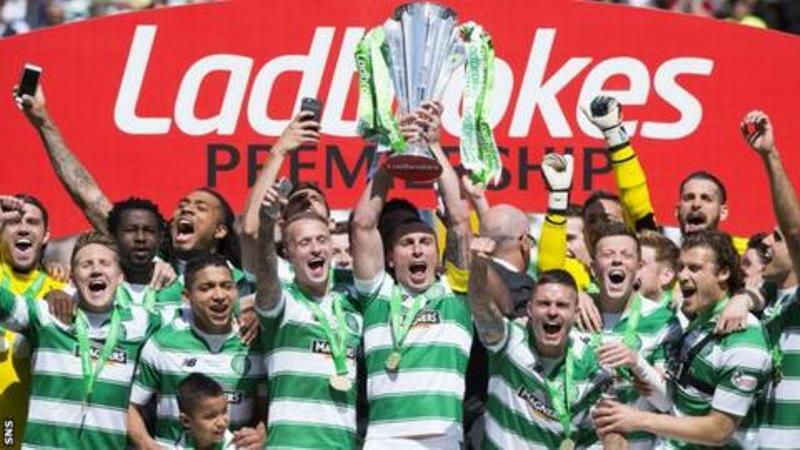 For the next eight years Celtic were in a deep rut. A poor team on the pitch and an out of date stadium to play in. During that miserable period the Celts one won Scottish Cup from a possible 24 domestic trophies to win. The irony is our spirits were never broken. I recall going into the Tall Cranes pub after the Raith LCF defeat and you’d have thought Celtic had won with people standing on seats and tables singing. I’ve often thought that me giving up the treasurer’s role was the catalyst for the successful 1997/98 season. Those were dark days and I look back and think I was cursed but I am immensely proud I helped to keep that bus on the road during the lowest period and it still exists to this day. Fergus McCann’s arrival was such an exciting time. A new stadium rose from the ashes with new players to admire on it, Larsson, Moravcik, Mjallby and Petrov being amongst my own personal favourites. I will always be grateful to Martin O’Neill for giving me the five most exhilarating seasons as a Celtic fan, culminating in the marvellous experience of travelling to a European final. Every week watching O’Neill’s team was a thrill. And the European glory nights returned. Ajax, Liverpool, Barcelona, Manchester United, Benfica, Juventus and AC Milan were all put to the sword with an atmosphere in the new Parkhead arena said to be incomparable to anything else in European football. Then there was the marvellous bitter-sweet experience of Seville 2003. These days I’m bringing the new generation along to enjoy the Celtic experience. Junior has witnessed a few highlights himself most notably the Barcelona victory in 2012 and the drama of Karagandy in 2013. We now have another 5 in a row and who knows when that run will end ? The hope is that Brendan Rodgers will emulate or even surpass some of the glories of the past. I’ve never had a particular favourite player but along the way it’s been a privilege to watch the talents of Jinky, Dalglish, McStay, Larsson, Moravcik and Nakamura. However, one man stands apart from them all and that is Daniel Fergus McGrain, who for me was an inspiration both on and off the park. I still get a thrill sitting in my seat each team I see the Celtic team run out on to the field. When Glen Daly starts to sing The Celtic Song, my mind never fails but to go back to those early terracing days with my Dad, uncles and friends, too many to mention. PreviousCeltic Underground Top Ten – Voting Now Open!